Sendai, with a population of around 1.5m, is the largest city in the Tōhoku Region of Japan and is an important hub for regional business, logistics and transportation. 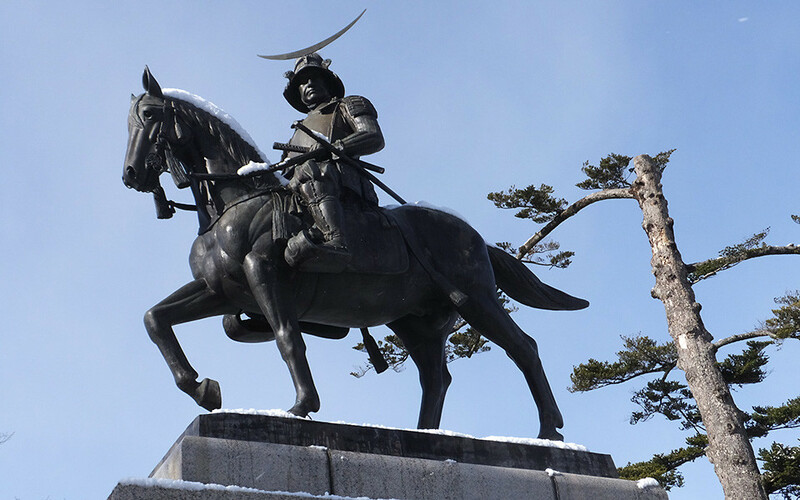 Founded by the samurai Date Masamune in around 1600, the city is also know for its numerous universities, as well as its rich culture and history. Located just 1hr 40mins from Tokyo on the bullet train, the city is easily accessible by rail or car. The city itself is modern and relaxing, while the surrounding areas offer breathtaking scenery such as the mountains of Zao or the beautiful small islands of Matsushima. The climate is quite temperate for Japan, yet the proximity of the mountains allows visitors to enjoy the beauty of the four seasons, especially the vivid maple leaves in autumn and the snow-capped mountain peaks of winter. The city is nicknamed the City of Trees, as residents were encouraged to plant trees in their gardens before World War 2, and visitors can still see the zelkova trees that line the streets and parks of the city to this day. They will find themselves in a region of incredible sights, sounds and tastes in the midst of a city of originality, imagination and hospitality. Sendai has always been known for its food. Modern Sendai builds on the traditional staples of rice and seafood to contain a much broader assortment of food and produce, including Sendai's famous beef. Visitors can be assured Sendai means good food - everywhere! Gyu-tan. Grilled beef tongue, a Sendai original that traces its origins back to 1948. Savory, tender and juicy, gyu-tan is now a national favorite at yakiniku restaurants. Robata Dining. Less a dish and more an experience, robata dining creates the atmosphere of a traditional farmhouse. Diners are seated around a fireplace or cooking fire and served dishes made and prepared with local ingredients right in front of the guests, complimented by locally produced premium sake. Sasa Kamaboko. A Sendai favorite and one of its most popular souvenirs. Steamed white fish meat is carefully mixed with local seasonings then roasted to perfection. 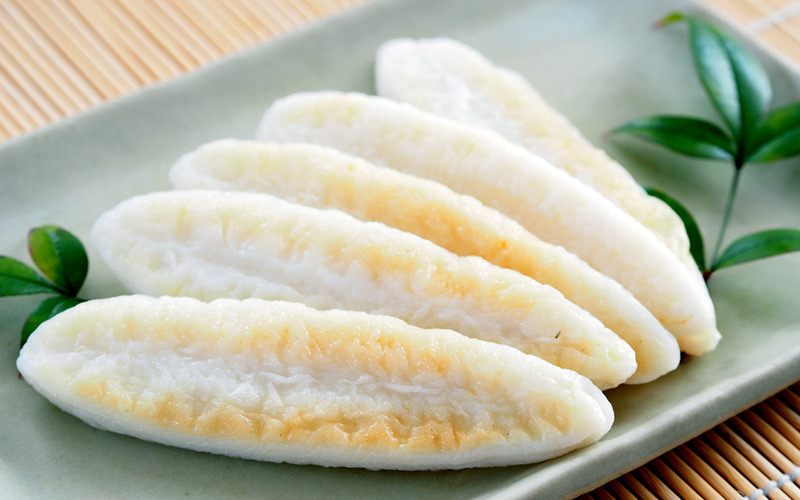 Named for its bamboo shape, sasa kamaboko is a true Sendai original! Sendai locally produced products. Sendai has long been known for its regionally grown or raised products with Sendai rice, Sendai miso, locally grown leeks, Chinese cabbage, Sendai beef and the amazing array of fish and seafood harvested from nearby waters representing a small portion of the overall variety of foodstuffs produced in and around Sendai. As the largest city in the Tohoku region, and one of its oldest, Sendai has sightseeing attractions all over the city. Whether just on a stopover or enjoying the city on a longer visit, visitors will find a wide variety of attractions. Sendai Asaichi (Morning) Market. Though only around 100 metres or so, Asaichi Street is a great place to see the dizzying display of fish, seafood and local produce Sendai enjoys daily. Yatai food stalls also abound with freshly made snacks on sale. Sendai Ichibancho Shopping Arcade/AER Building. The AER Building offers a free observatory where guests can enjoy a spectacular view over the city and the outlying mountains. Back at street level, not far from AER visitors will find themselves in the huge covered shopping area Sendai Ichibancho. Adorned with trees year round, Sendai Ichibancho has everything - from discount shops to high-end boutiques! Zuihoden Mausoleum/Rinnoji Temple. Zuihoden is the resting place of Date Masamune while the surrounding area houses the tombs of his family; the Date family ruled the area during the Edo Era (1603-1867). 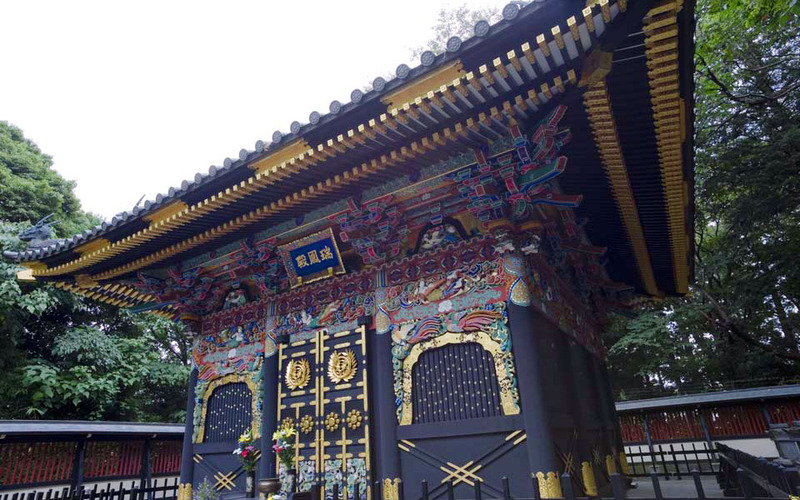 These elaborate tombs echo the intricate designs of Nikko's Toshugu Shrine. Rinnoji Temple was founded by the Date family in the mid 15th Century. Visitors will find a magnificent garden, restored temple buildings and even a multi-tiered pagoda throughout the temple grounds. Matsushima. One of Japan's 3 most famous views (Nihon Sankei), Matsushima lies less than a half hour by local express train from Sendai. Around 200 islands covered in pine trees lay scattered throughout the bay which visitors can now enjoy from a turbot. The view has inspired poets, writers and other artists for centuries and remains one of Japan's most visited sites. Sendai is a city of the seasons. Historically deriving its wealth from farm production and the fisheries, Sendai has long observed the changing of the seasons with festivals which mark the occasion, but also celebrate the exuberant spirit of the people of the city. Tanabata Masturi Festival. One of the 3 Tohoku Sandai Matsuri (3 Great Festivals of Tohoku), during the festival Sendai is decorated with massive 10 metre or longer bamboo poles from which long bamboo streamers creating a truly spectacular site. This August festival draws huge crowds from all over the country as they enjoy the dramatic Hoshi-no-Yoi matsuri and breathtaking Tanabata Fireworks Festival. Sendai Aoba Matusri Festival. 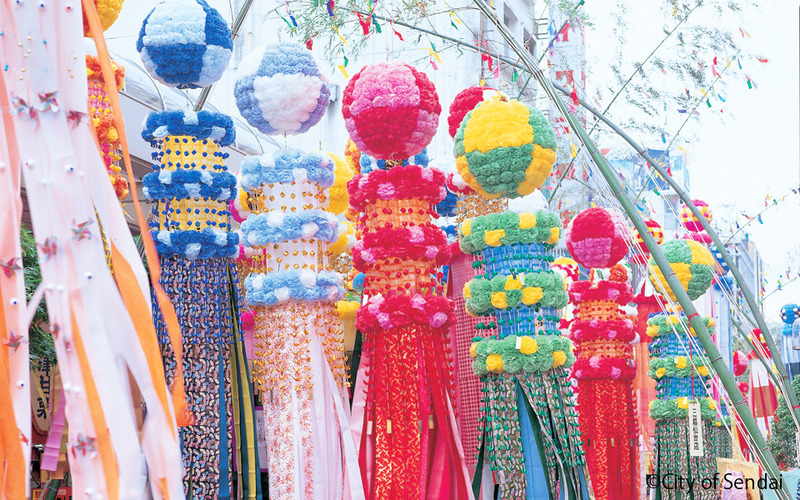 Held in late May, the Aoba Matsuri helps officially welcome Spring to Sendai. A festival full of pageantry, proceedings begin with a mikoshi portable shrine procession, then a parade of samurai in full armor. Major highlights of this festival include the Yamaboko Float Parade and the unique-to-Sendai Sparrow Dance. Michinoku Yosakoi Festival. A lively festival that unites local folk music and festival traditions with modern music and dance. Held under the beautiful colours of Sendai in Autumn, the Michinoku Yosakoi Festival draws crowds of nearly 700,000 every year. © Hotel Monterey Group All rights reserved.